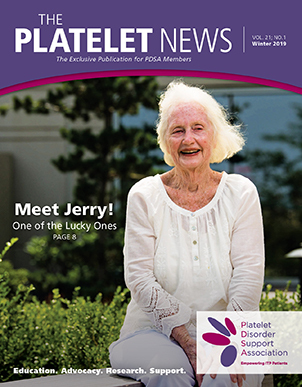 Regarded as the premier disease report containing the most current news, treatment information, research updates and inspiring stories, The Platelet News is a quarterly newsletter published by the Platelet Disorder Support Association. An exclusive PDSA membership benefit, The Platelet News is delivered to members via U.S. mail or electronically. (e-delivery only outside U.S. and Canada in text format or .pdf). 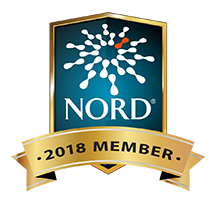 View a sample newsletter by clicking the button below. If you would like to become a PDSA member, need to renew your annual membership or are unsure if your membership has expired, please contact us at pdsa@pdsa.org or toll free, 877.528.3538 and we’ll assist you with your membership needs. Order Back Issues by Mail; Mail a check to PDSA (US check from US bank), 8751 Brecksville Road, Suite 150, Cleveland, Ohio 44141 with a note indicating the issues you would like us to send you.